From the beginning, the ANAI program has maintained the vision of going beyond expert technicians to involve communities in generating and analyzing information. This in turn leads to participating in the generation and implementation of strategies toward the conservation and restoration of aquatic systems and the environment in general. 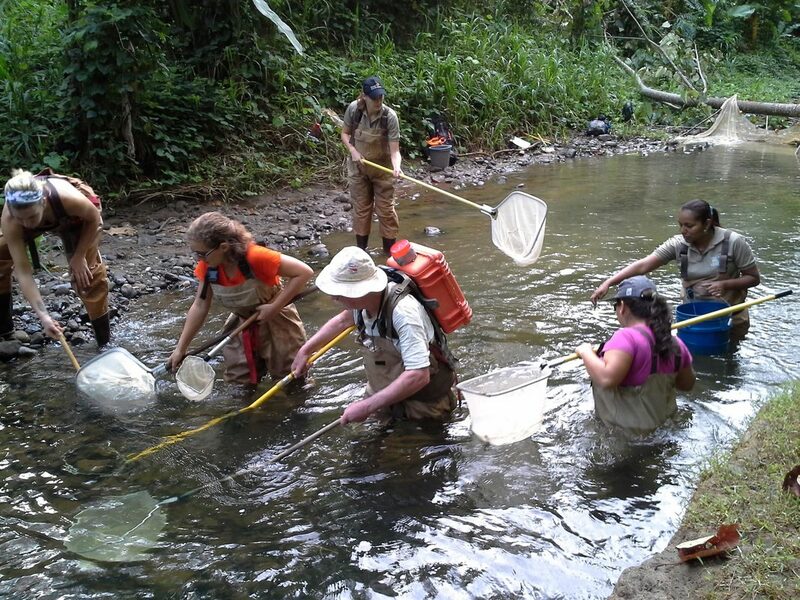 Participating in field work constitutes an exceptional opportunity to educate the community about the impacts of human activities on the natural world. On every biomonitoring occasion we invite the participation of local people in the monitoring process and subsequent interpretation of data. Volunteers participate in all of the physical activities of data collection and, post-sampling, in discussion of results and implications. In the specific case of SVAP, they may be provided with field data sheets which permit them to carry out their own analysis at additional sites. We also offer long term volunteer opportunities for 1 or 2 persons each year. Priority is given to local individuals, but in practice most such volunteers have been from outside the La Amistad area. For further information, visit the volunteer opportunities page. 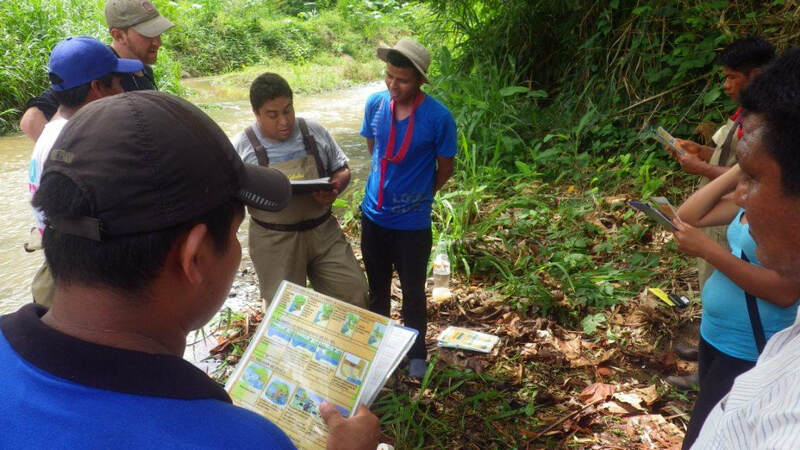 Environmental education activities based on watershed concepts complement the investigative work of the Stream Biomonitoring Program in providing information and tools to enable local residents, and especially school children, to do their part in protecting their rivers. 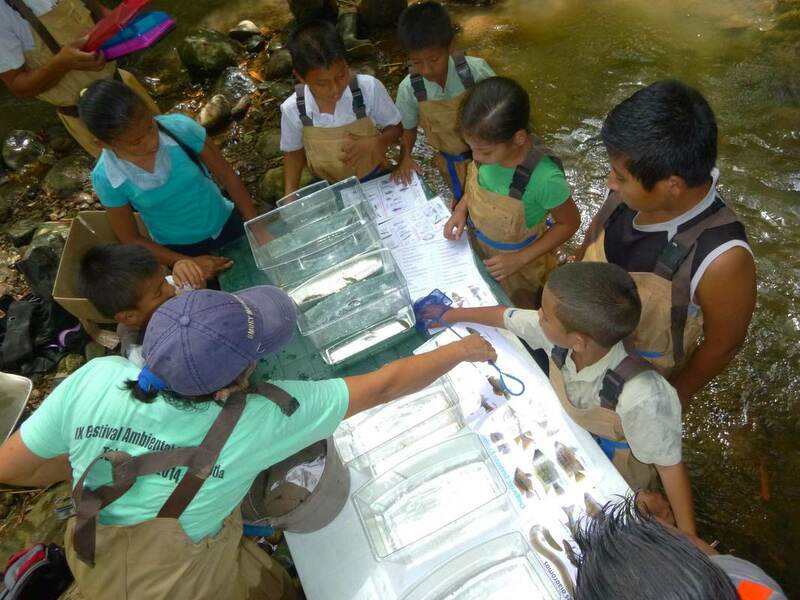 Since the inception of the program we have endeavored to develop a curriculum component in the elementary schools of the La Amistad region based on the ecological health of rivers and streams. 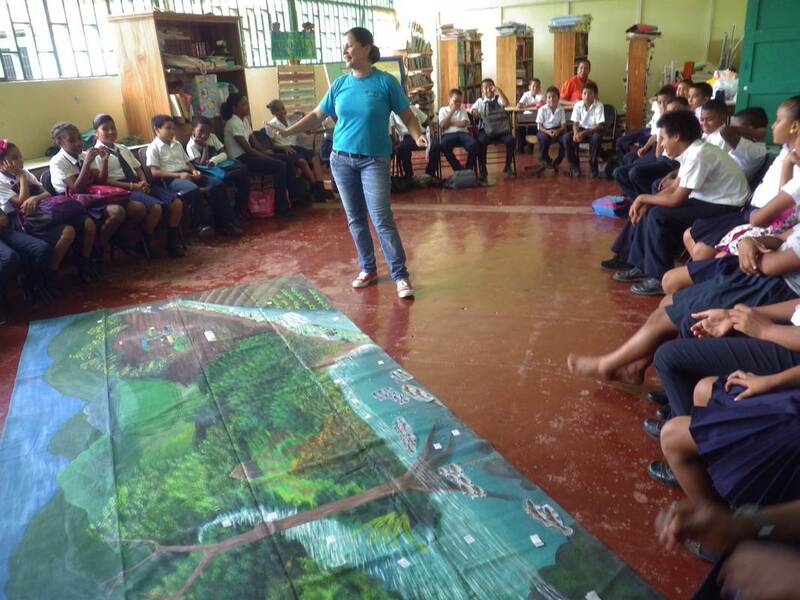 This objective was fully achieved in 2013 when we formed a partnership with the environmental education program of the Talamanca-Caribbean Biological Corridor Association (CBTC - an organization originally spun off from ANAI). Each year we work with the Ministry of Education to select 1 of the 3 themes related to the curriculum. Examples are structure of rivers and watersheds, climate change, biodiversity as natural heritage, protected areas and aquatic ecology. Within each of these themes we link information about fish and other aquatic organisms to the health of river systems. Students carry out actual monitoring and/or biomonitoring where information is integrated into field trips with other objectives.